The Gator GKB76 features large zippers and comfortable handles for easy keyboard transport. $109.99 Seen a lower price? The Gator GKB76 is a larger keyboard gig bag meant to fit most portable digital pianos, synthesizer workstations, and large arrangers. 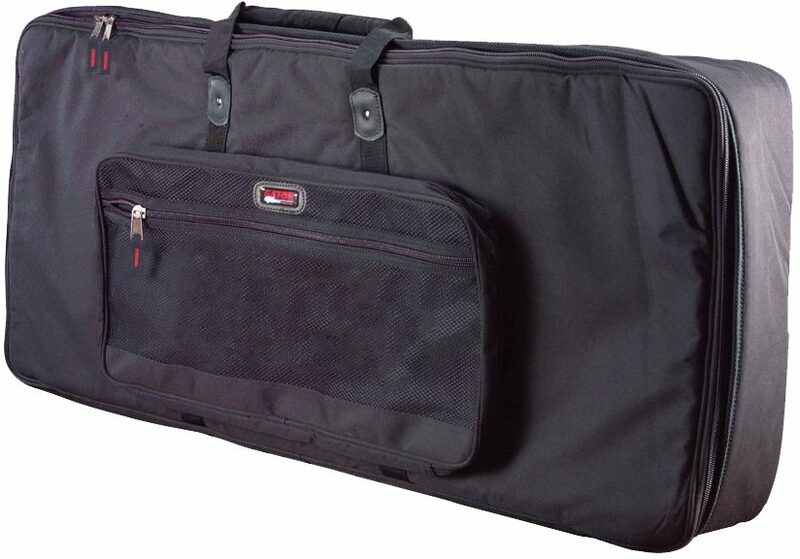 Gator's Keyboard Gig Bags are the ultimate in affordable solutions for the gigging musician. The bags are constructed of durable 600 Denier Nylon. The keyboard bags include adjustable padded interior straps to hold your keyboard snug. Storage pockets are included perfect for cables and other accessories. This case also includes large zippers and heavy-duty comfort handles for easy transport. Same Day Music is an authorized dealer of Gator products. Available until 11 PM (EST) today. Mention special code 20F-670R when you call.